From Nairobi / to Nairobi. Tour leaves from Nairobi and spends a night at the Amboseli with game viewing drives to spot wildlife with views of the Mount Kilimanjaro snow- capped peaksExplore the Amboseli National Park and view Mount Kilimanjaro,Marvel at the great rift valley and visit Lake Naivasha & Nakuru National park,Sample Masai Mara Game Reserve. Tour leaves from Nairobi and spends a night at the Amboseli with game viewing drives to spot wildlife with views of the Mount Kilimanjaro snow- capped peaks. 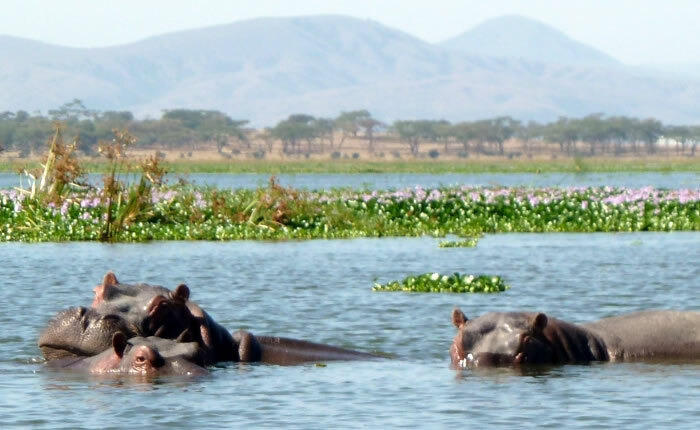 Tour proceeds for a night at the Lake Naivasha with a boat ride to explore the freshwater lake and see hippos & abundant bird life. We continue to the Lake Nakuru national park where thousands of flamingoes thrive in the salinity of the Lake. Tour is offered in a selection of economy, standard or luxury safari lodges or tented camps (depending on your style / budget). our transport shall be in pop up top safari minivan Upgrade to 4 x 4 Land cruiser jeep is available at an extra cost. Upgrade to 4 x 4 Land cruiser jeep is available at an extra cost. • Views of Mount Kilimanjaro ( highest mountain in Africa). • The Great rift valley escarpment. • Flamingoes, pelicans and other bird species. 0730 hrs: Pick up from Nairobi hotel/Nairobi airport, Depart for the Amboseli national park. The drive is via the Nairobi -Mombasa highway and through Masai country as you head to amboseli which lies at the floors of the mount Kilimanjaro. Arrive Amboseli in the mid-morning. Afternoon shall be spent on game viewing drives in search of elephant, cheetah, lion and other plains game. Early morning game and scenery viewing drive . Later proceed to the Lake Naivasha with a descent to the floor of the Great Rift Valley. What to do at Lake Naivasha …………Bird watching, Boat ride. Explore Lake Naivasha and spot exotic bird life,hippos etc on a morning boat ride Option of visiting the Hell’s gate by bicycle and hiking is available. Later proceed to the Lake Nakuru national park. The Lake Nakuru national park is the smallest in the class A category Kenya national parks. Birdlife abounds with flamingoes in their thousands together with pelicans and other bird species. The lake hosts the black and white rhino species, warthogs, lions, zebras, giraffe and many more. Overnight shall be at your lake Nakuru safari lodge / tented camp. What you may see at Lake Nakuru National park …. An early bird and game viewing drive at the Lake Nakuru National Park. Overnight at your Masai Mara safari lodge or tented camp. Meal Plan: Breakfast, Lunch, Dinner. Early pre-breakfast game viewing drive. Extra final game drive as you exit the Masai Mara. Depart the Masai Mara for Nairobi to arrive in the late afternoon. Meal plan: Breakfast, Lunch.